Super Lemon Haze Sativa: A sativa-dominant hybrid of Lemon Skunk and Super Silver Haze and two time Cannabis Cup winner from Green House Seeds. Super Lemon Haze is a kief-caked multi-colored wonder. As the name states this strain has real lemony characteristics. The smell is zesty, citrusy, and a little sweet. As for the taste, it’s everything one would expect from the namesake; tart and sweet like lemonheads candy – not quite as sharp as one might expect. The effects are uniquely energetic and lively, may not be the best strain for those of us that are naturally wound-up tight. 22 reviews for "Organic Super Lemon Haze – Sativa"
AAAA and fantastic. Very impressed! 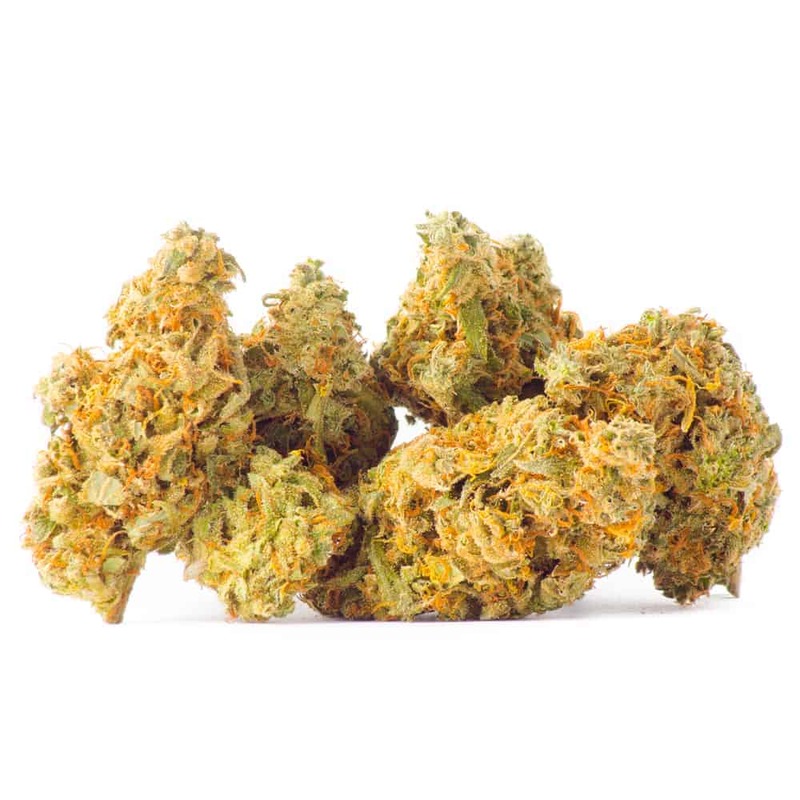 One of my favourite strains on this website and when I received my order I was very impressed! It has a really good trim on it as well as a potent smell. Very citrusy and an amazing high! Need to order more asap! With a strong citrus and diesel scent this bud packs a punch. Soooo lemony and so strong. Amazing bud. Very nice super lemon haze. Lemony and hazy. Perfect. Very happy with product! Super happy with this bud! Tastes & looks amazing . I feel like I was on cloud 9 forever ! Defiantly recommend this strain! & it arrived in a short period of time so I wasn’t waiting for ever ! Thanks goldbuds! I only ordered 5 grams of this strain , hoping the next time I place an order they still have the oz sale , would for sure buy it . Loved this strain . Goldbuds must be consistent because I see some older reviews from 2016 and I just got some of this Super Lemon Haze and it’s awesome! The stone is heady and exactly what you’d expect from a sativa, the bud looks very nice it burns well and smells great. I search for this strain…..as it is always going out of stock. No complaints here and the price is just awesome!! Love this strain ! Every time I’m getting low I have to re order ! A Great sativa buzz that lasts for hours ! As always a Goldbud premium killer bud. Fantastic taste and smell along with a top tier buzzzzzzzzzzz…..
Gold Bud’s standards are leagues higher than others by far and this is yet another example of it. This herb is what you would expect from top tier products. One of the happiest ,cleanest and my personal fav.!!! Keeps you super motivated and top notch fantastic sativa high.